Pick of the week: “Citizenfour” (all week, Point) — If nothing else, I hope this blog lets people know about good movies that slip into Madison under the radar with no publicity. That’s certainly the case with “Citizenfour,” a much-anticipated documentary by Laura Poitras (“The Oath”) about a whistleblower she met who claimed to have exposive secrets about the U.S. spying on civilians. 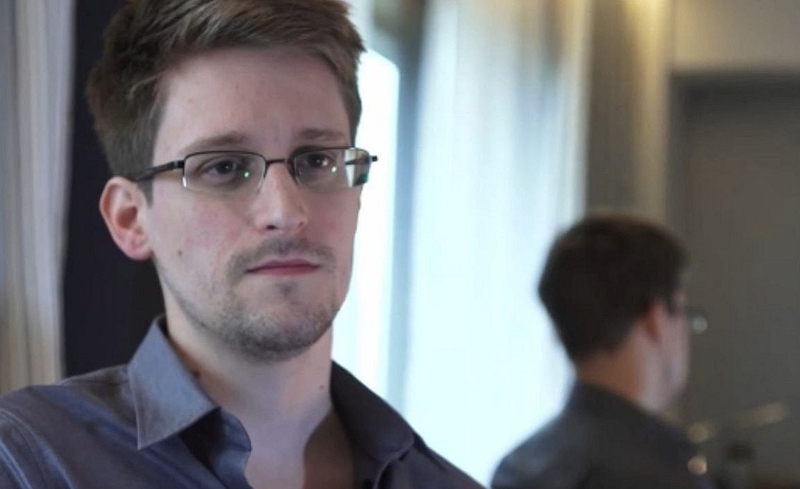 That whistleblower’s name was Edward Snowden. “The Theory of Everything” (Point, Sundance) — My full review is here. This biopic of cosmologist Stephen Hawking and his love affair with his first wife is light on science and heavy on drama, but boasts an amazing performance by Eddie Redmayne as Hawking, who captures both the physical nature of Hawking’s ALS and the mischievous brilliance of his mind. “Horrible Bosses 2” (Point, Eastgate, Star Cinema) — My full review is here. DeForest native Sean Anders’ sequel to the hit 2012 comedy is getting savaged by critics — I thought it was a very funny, raunchy R-rated comedy, with Jason Sudeikis, Jason Bateman and Charlie Day showing terrific chemistry together as a 21st-century Three Stooges. “The Found Footage Festival” (8 p.m., Friday, Barrymore Theatre) — My interview with co-creator Nick Prueher is here. Stoughton natives Prueher and Joe Pickett used to love playing old video clips in their parents’ living room — instructional videos, exercise videos, etc. — and poking fun at them. It’s now become a career, as they tour the country with hilarious clips from the VHS and early DVD eras. This is the 10th anniversary tour, but will feature all-new footage, including deep cuts from some old favorites. $15 at the door. “Dostoevsky Behind Bars” (7 p.m. Wednesday, Union South Marquee Theatre) — Local filmmaker Marc Kornblatt’s moving documentary looks at an intriguing program at a Wisconsin minimum-security prison where inmates and UW grad students meet for literature and writing classes. Kornblatt treats all the inmates as people first, and in showing how the arts reignites their humanity, makes a subtle but potent case against a “lock them up and throw away the key” criminal justice mentality. FREE! Has “Pride” (with Imelda Staunton and Bill Nighy) played in Madison this fall and I just missed it? It comes out on DVD and Video-on-Demand on Dec. 23, so it seems unlikely it’ll make it to a Madison theater before then. Looks like it didn’t get much of a theatrical release beyond NY, LA and San Francisco. Thanks, Anne!